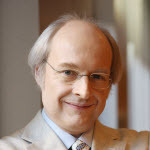 Jakob Nielsen, Ph.D., is a User Advocate and principal of the Nielsen Norman Group which he co-founded with Dr. Donald A. Norman (former VP of research at Apple Computer). Dr. Nielsen established the “discount usability engineering” movement for fast and cheap improvements of user interfaces and has invented several usability methods, including heuristic evaluation. He holds 79 United States patents, mainly on ways of making the Internet easier to use.